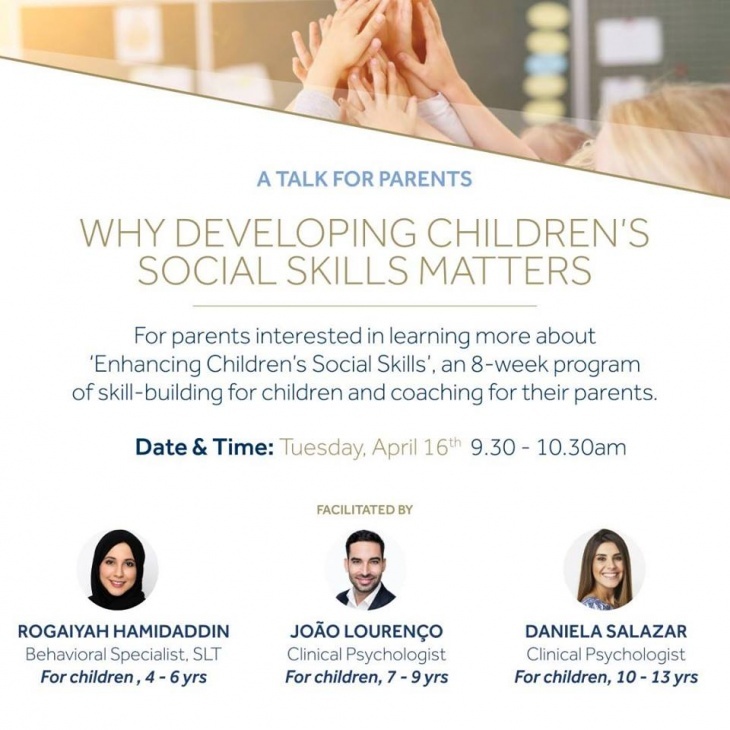 Free for parents interested in learning more about ‘Enhancing Children’s Social Skills’, an 8-week program of skill-building for children aged 4 – 6 / 7 – 9 / 10 – 13 years, and coaching for their parents. In today’s technology-dominated world, children are relating, communicating, and entertaining themselves primarily through a device. This is creating a generation of children who are more self-absorbed and who face difficulties relating positively to others. Many children are experiencing heightened anxiety as they navigate their complex social worlds. They lack the confidence to build good relationships with other children, and they struggle with knowing how to express their needs effectively and how to solve conflicts. These skills are often not taught in the classroom, and with increasingly busy parents and distance from extended family, children do not get to sufficiently develop or practice these skills at home either. The good news is that these skills can be taught, and they develop through practice. In the ‘Enhancing Children’s Social Skills’ program, children have the opportunity to learn and practice social skills under the supervision of experienced facilitators so that they can become more adept in their interactions with peers and adults, and in handling different social situations at school and in their lives. Parents are also supported to become social skills coaches for their children.